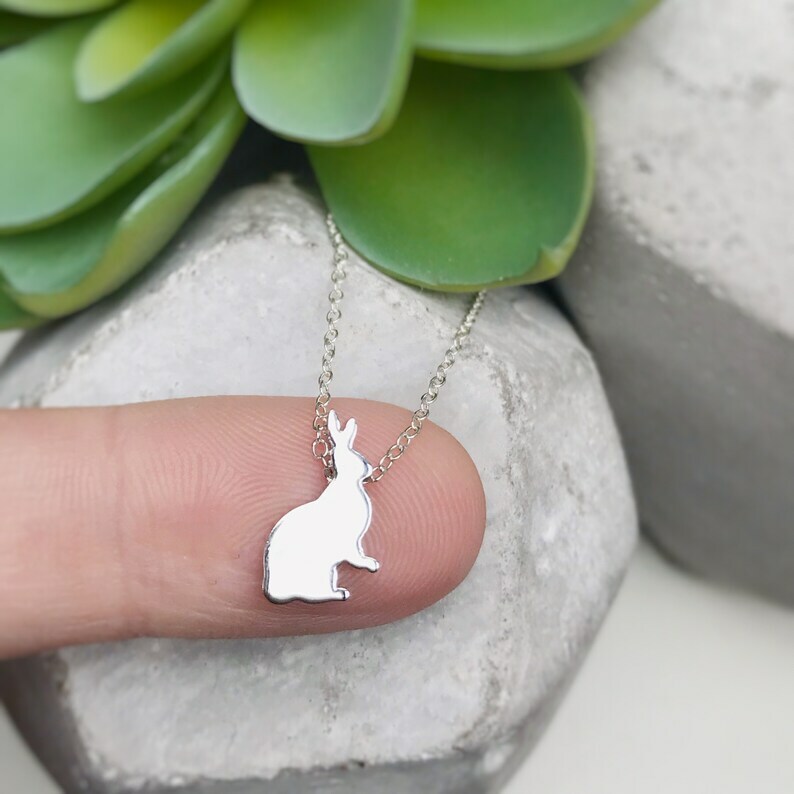 A sweet little bunny silhouette make this high-quality silver plated charm a perfect layering or everyday piece. Great for Easter or spring in general, or just if you love bunnies! Personalization option, I can stamp one initial on the bunny if you wish for no extra charge, or leave it blank as shown. Choose your chain length from 12" (kids), 14" (choker length or pre-teen), 16", or 18" - sterling silver cable chain and clasp. 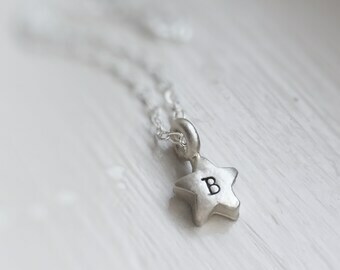 Necklace will arrive in a lovely drawstring bag ready to give as a gift.